When we talk a bout Pyramids everyone immediately turns their thoughts to Egypt, the Giza plateau and the three pyramids standing tall just outside of Cairo. However, did you know that there are more than 1000 pyramids in Central America alone? There are 300 Pyramids in China and over 200 Pyramids in Sudan. Egypt boasts only around 120 Pyramids. Or is it possible they served another, completely different purpose than what mainstream scholars are making us believe? Is it just a wild coincidence that there are thousands of Pyramids scattered all across the globe? How are most of them so similar? Is it possible that ancient cultures were somehow interconnected thousands of years ago? 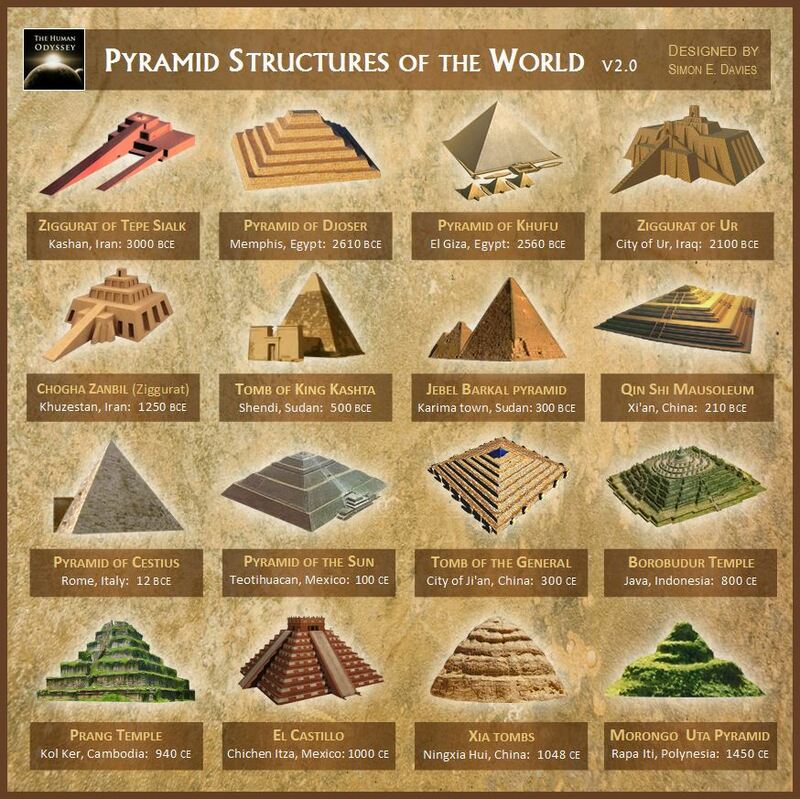 And that somehow a pyramid building culture—that is now long gone—passed onto different civilizations the blueprints of building pyramids? What if after all, Pyramids were not used as tombs, but as something entirely different?